Hey Mama! 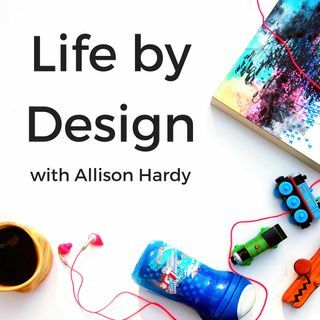 Welcome to episode #99 of the Life by Design Podcast with Allison Hardy! Today I’m interviewing Online Course Designer Julie Raich Diémé! Julie is an educational consultant and teacher of 20+ years. She is a languages nerd (fluent in 4! ), avid world traveler, wife and mom. Since her son was born in 2015, she has developed a passion for bringing her business online and helping others to do the same, in order to find the perfect balance of freedom and flexibility for her family ... See More as well as make a larger impact with her work. Julie helps experienced professionals around the world to bring their offline expertise to an e-learning platform with her course consulting and teacher training services. She also partners with established online businesses to improve existing courses for increased student success rates and profits. > Having it all means having control. You have control over how you work, when you work, and why you work. It’s having a structured method of achieving milestones, but also having the choice and freedom of being flexible. > For Julie a big motivator for her is impact, not just locally, but globally. One of her big motivators is traveling because she not only has family from around the world, but her deep desire to learn and immerse herself in other cultures. > Courses are a great way to grow your business beyond working with clients in a 1:1 way. The possibilities are much less limited! > Some big shifts in the online course space: generalized information is shifting into more curated spaces, with very clear end results. Courses seem to be getting more specific. > Validation in the need for your course is 100% necessary. Two things happen when the course idea isn’t validated: (1) no one enrolls or (2) the wrong students enroll.